A few weeks ago I was reading through the forums on Flying Solo – Australia’s solo and micro business community, and read some comments by graphic designer Daniel Abela. I was impressed by Daniel’s spirit and his passion for wanting to satisfy his customers. Whilst browsing Daniel’s site, I noticed that his sense of humour is similar to mine. Seeing someone’s character shine through via their business site is something that impresses me. Soloists are well placed to do this and it’s something I endeavour to do. "Hi Daniel, I'm seeking some design work and require a logo design. I see you can design for a letterhead, business card, and other stuff, too. Would you be interested in doing some work for me for my business which is Darren Stones Visual Communications? PS - I've become aware of your service via Flying Solo." Daniel promptly responded and was keen to assist. From there, things moved along seamlessly between us to a point where I’m happy to say that I love my new business logo. I’m “in business” folks. I’m happy to recommend Daniel Abela Graphic Design & Web. Hi folks, this message is directed towards people such as myself who have lived the experience of depression, are currently battling with the illness, and for those who are considering becoming involved with beyondblue’s blueVoices. beyondblue, Australia’s national depression initiative, has just released a video that features the new beyondblue CEO Dawn O’Neil AM. Dawn outlines the vital work of blueVoices members and Ambassadors in assisting beyondblue to further develop its resources, programs, research and campaigns. I’m happy to say that I’m no longer taking anti-depressant medication and have recently begun re-branding my business and developing a new range of products and services. I’d like to thank all of you who have supported and encouraged me. It’s been a bumpy ride since I broke down in Centrelink in September 2009, but I’m now tackling my (new) life and my (new) business with a brand new enthusiasm. I dare say a new book is about to go on the drawing board – the working title is: Ticking boxes. Date and time: Wednesday 28 April, 2010. 7:49am. Darren Stones Visual Communications supplies high quality digital photographs to businesses so they can improve their image through visual communications. 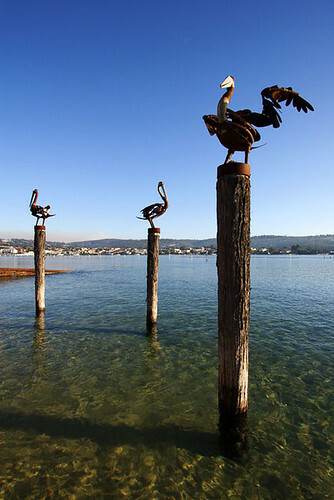 I've released a product for businesses that are seeking a collection of Merimbula images. The images contained on the Merimbula Photography CD are designed for businesses who desire to showcase the region on their business website with the intention of increasing their clientele. 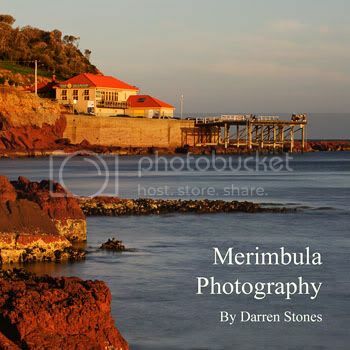 The Merimbula Photography CD is available to purchase with all images contained subject to licensing. Images are supplied on CD by post. 20 photos PLUS 5 bonus photos = 25 photos. Images can be previewed online. $220.00 Includes GST and postage within Australia - Unlimited years licence. For assistance and more information, contact me by email or phone.